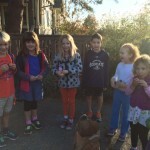 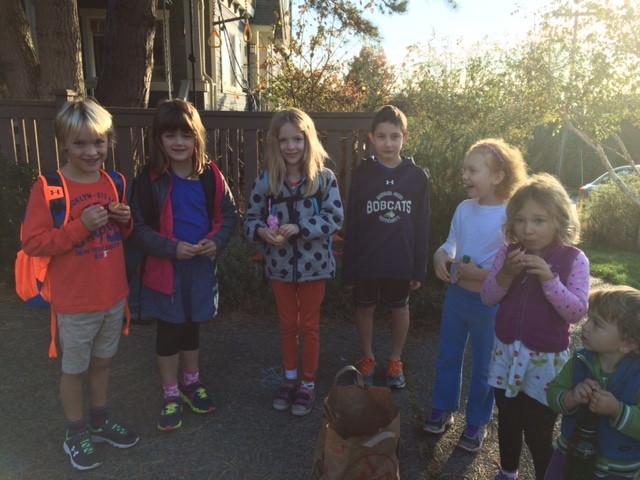 Fine autumn weather greeted Bryant walkers throughout Walk to School Month this October. 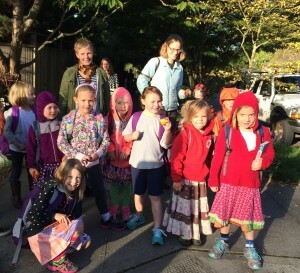 Our walking bus stations hosted about 75 students and parents on their way to school on Friday mornings, and one morning the Bryant Foot Fairy even appeared, giving prizes to kids caught walking to school. Thanks to the many volunteers who hosted stations, to parents who led walking school buses from further afield, and for all students and their parents who walked in October. 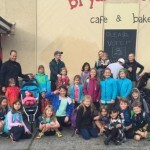 Thanks also to the Seattle Department of Transportation for funding through a Safe Routes to School grant. 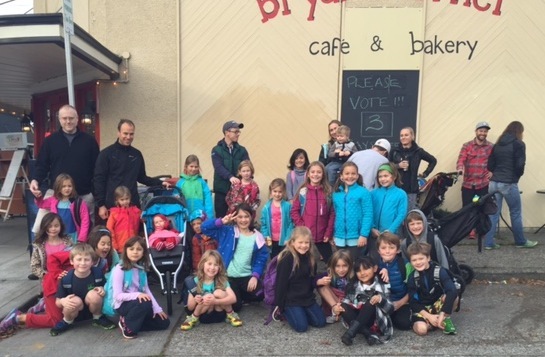 This helps us celebrate our kid walkers and maintain the people-friendly streets around Bryant.